You can’t sketch if you can’t see, well I’m sure you can but I don’t want to have to find out. So a visit to the optitions last week was long overdue and yesterday I was back to pick up my glasses. 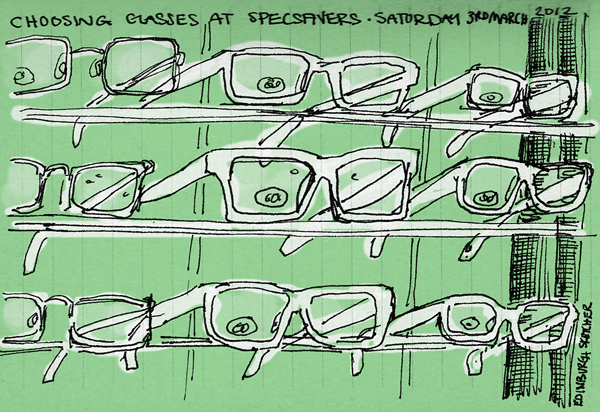 While I waited I sketched a few of the rows and rows of glasses they have on display.